Nothing else like the PS-6700 with expanded storage capacity. 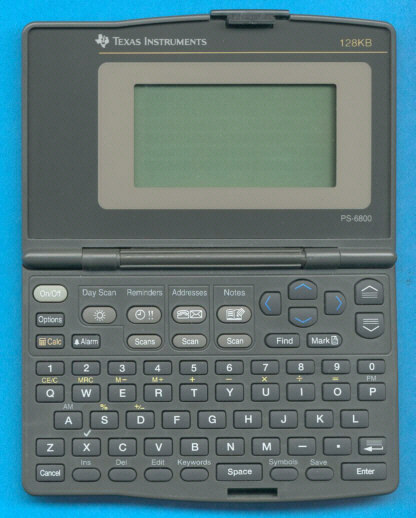 The PS-6800 was replaced soon with the PS-6860Si and within another year with the PocketMate 300. Both the PS-6960Si and PocketMate 400 doubled the storage capacity to 256k Byte memory. © Joerg Woerner, June 25, 2002. No reprints without written permission.